So the news dominating the rounds yesterday was that Arsenal’s Chief Executive, Ivan Gazidis, new Head of Recruitment, Sven Mislintat and new transfer negotiator, Huss Fahmy, were seen in Dortmund airport, ahead of what we believe is to secure the services of Pierre-Emerick Aubameyang. As you’d expect from any team with a player on the verge of an imminent departure, the BVB gaffer left Aubameyang out of the team that drew with Hertha Berlin. 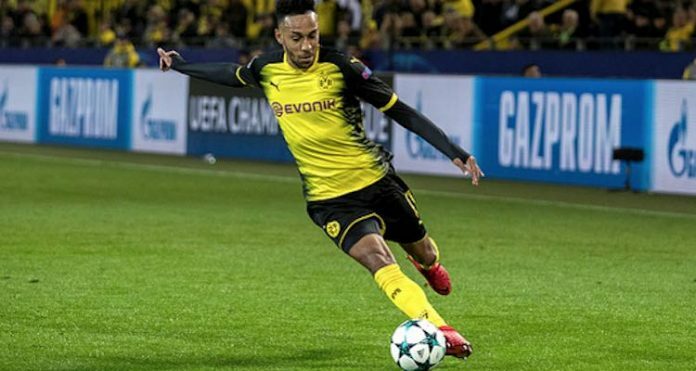 The Gabonese forward has been criticized in certain corners with Jupp Heynckes advising the Gunners to think twice before signing Auba. I don’t see what the fuss is all about though. Players move from clubs to clubs all the time. It’s as normal as England losing on penalty shootouts. Aubameyang isn’t the first bloke to submit a transfer request to leave his club and he certainly wouldn’t be the last. Dortmund should be grateful for the insane amount of goals he gave them, and this time, they are not losing their main striker for cheap, like how they lost Robert Lewandoswki to Bayern. A fee of around 60 million Euros has been reported as the potential transfer fee and they can certainly use it to find a suitable replacement. Besides, Arsenal can do with a player with such a prolific goalscoring record like Aubameyang. Losing a talismanic player like Alexis Sanchez is no mean feat, especially with the Gunners still in contention to challenge for the Carabao Cup and Europa League, but getting Aubameyang will go a long way to soften that blow. If he can pick up where he left off at Dortmund, it will be beneficial to everyone associated with the club. The Gabonese forward is set to leave Dortmund after scoring 141 goals in 212 appearances over four-and-a-half years. He had already banged in 21 goals in 23 games for the club, which is such an amazing scoring record. Prior to this campaign, he scored 40 goals last season and 39 goals the season before that. Bonus Reading: Why Do Arsenal want Aubameyang, What can he offer and how risky is it? On this day in 2010, this blog was formed and it has been four years of a wonderful experience writing about the club I love and support. I’d like to use this medium to thank everyone that has played a role or two in making Gooner Daily a success story. Let’s keep the flame burning. Moving to the business of the day, Arsental host a Dortmund side on the back on a poor run of results. Before the international break, the Gunners famously surrendered a comfortable 3-0 lead against Anderlecht at the Emirates and this was followed with another dismal result against Swansea in the league. The match against Manchester United last weekend was one of the best attacking displays I’ve seen from the team in a long while but as always, the Gunners shot themselves in the foot as a Gibbs own goal and a Shrek clincher was enough to give the visitors their first away victory since April. 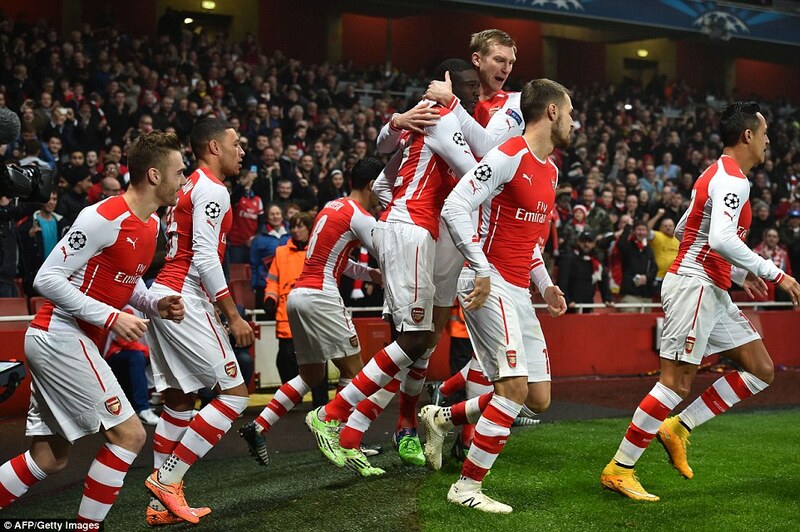 Tonight the Gunners come up against a Dortmund side that has been hot in Europe but cold in theteam Bundesliga. For a team so formidable in recent years, picking up just 11 points from 12 games has seen the German outfit have their worst start in a very long while. The Gunners are also struggling in the Premier League notching up 17 points from 12 games as well. To injuries, the Gunners are very likely to be without the duo of Wojciech Szczesny and Jack Wilshere that suffered injuries in the defeat to Manchester United. The regulars are still out and with Theo Walcott suffering a groin strain, he’s going to miss tonight’s clash. On the bright side, Arsenal’s French pair of Laurent Koscielny and Olivier Giroud are back but the HFB is going to miss tonight’s game as well as the game against Galatasaray next month because he’s ineligible. Dortmund have injury concerns of their own with the influential Marco Reus suffering an injury in the game against Paderborn. The Germans will also ne without the likes of Sven Bender, Mats Hummels, Oliver Kirch, Nuri Sahin, Sokratis Papastathopoulos and Jakub Błaszczykowski. To team news, Emiliano Martinez is odds on to start in goal but the question remains whether Arsene Wenger would throw Koscielny straight into the mix instead of sticking with the Mertesacker – Monreal central defensive combination. Say what you want about the Spaniard but he has been better than Mertesacker in the recent games they’ve played together. The English pair of Kierab Gibbs and Calum Chambers would maraud the flanks. Mikel Arteta would obviously start ahead of Mathieu Flamini and he’d be odds on to play alongside Aaron Ramsey. The Welshman hasn’t hit top gear this season but he recently stated that he’s getting fitter with each passing game. Santi Cazorla is a player going through some struggles as well but with Wilshere out injured and Tomas Rosicky clearly out of favor, the diminutive Spaniard would have another chance to get a run out. I expect the pacey attacking combination of Danny Welbeck, Alexis Sanchez and the Ox.